The Shop on Ash has been in existence since 1988. Pinball junkie, musician, and carpenter in that order. I specialize in restoring pinballs, custom woodwork/carpentry, and play and teach music. This is a simple site, featuring pictures and other basic information. Please click on a photo of your choice to visit that perticular gallery. If you are interested in any details of photos, feel free to email me with any questions. I have pinballs and baseball furniture for sale. The website is being updated with items for sale. Please click on Pinballs or Baseball furniture for updates, thanks. 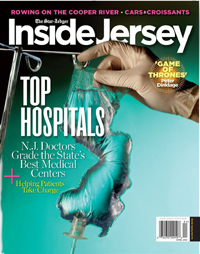 One of my baseball tables is in the April, 2012 issue of Inside Jersey. Click on the magazine cover to find out more information. My table is on page 2 of the pdf file.